Hi everyone! Sorry for my very short absence from the blogging world, ive been very poorly but hopefully i will be on the mend soon! Albeit i haven’t blogged for only a few days but i have really missed it and chatting with you all. Anyway, back in November i attended my first bloggers meet and Pearlys were one of the brands that had a little stall up demonstrating some of their products,i also got to meet the lovely Liz who runs the company! While i was there i got to try a teeth brighten powder which is almost like a scrub for the teeth which can be used weekly to help fade stains, i was really impressed with it especially as i didn’t know such a product existed! I was lucky enough to also be sent a few of their other products to try out which i have been using for about a month now so i could have a proper chance to see how well the products worked for me and tell you all about them ! (Sorry about the Christmas backdrop in the photos i took these a while ago!!). 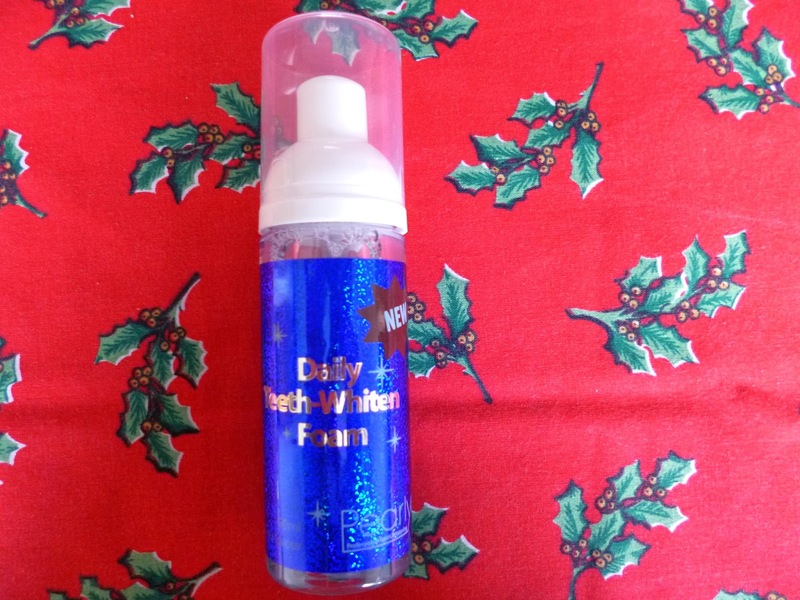 Daily teeth whiten Foam* – The foam is placed on top of your normal toothbrush and i used this twice a day. The product has no bad taste to it all and unlike many teeth whitening products it caused no sensitivity to my teeth at all. Truthfully i don’t think it has made a lot of difference to my teeth at all but i am aware that this product needs to be used for a while longer to see real results. 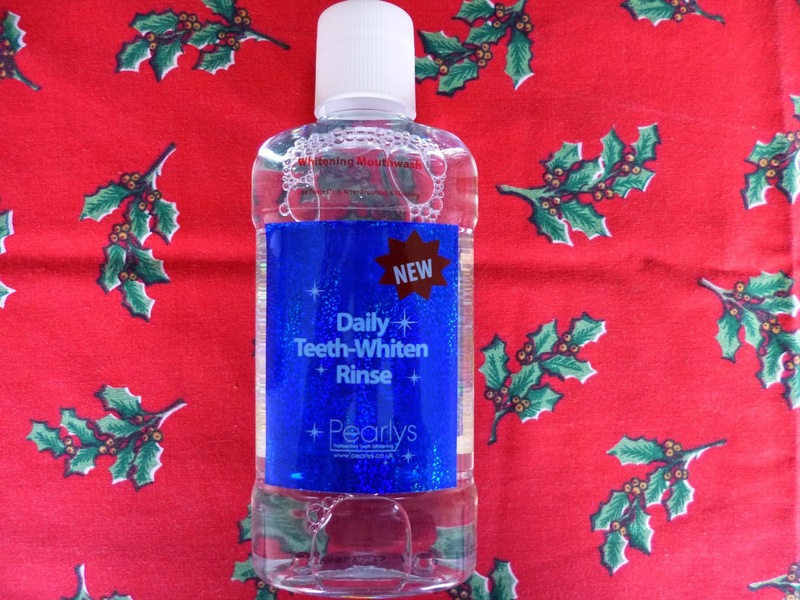 Daily teeth whiten rinse* – I don’t normally use a mouth wash with my normal routine but i can definitely see the benefits from using one. 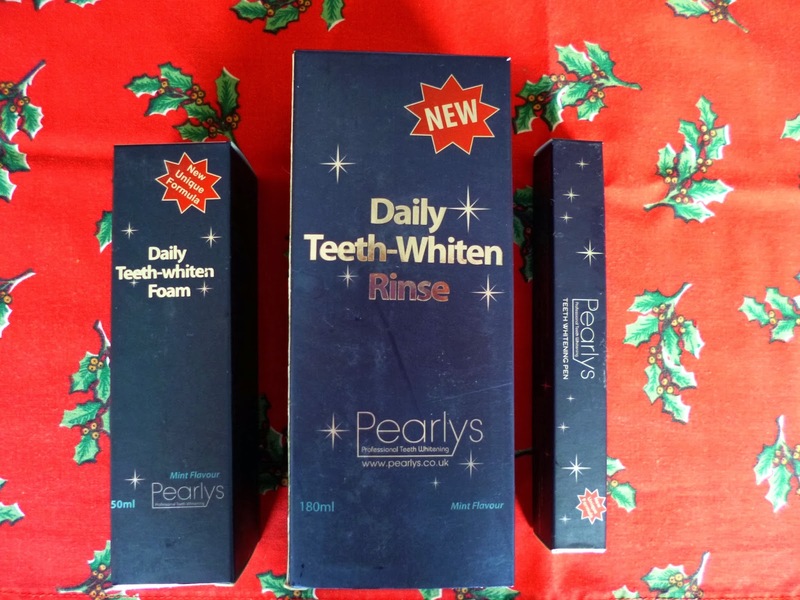 It has a very strong minty taste which helped to make my mouth feel fresher for longer and this product helps to prevent further staining to the teeth and i would definitely repurchase for the cleaner feeling my teeth got from using it twice daily. Teeth whitening pen* – The pen is meant for use maybe once or twice a week and a thin layer should be applied to your teeth while you are smiling, you have to keep the gel on for about a minute until it has dried and then it can be washed off. This is like nothing i have tried before and i was really looking forward to trying it out, as its only to be used once or twice a week i think again this is maybe something that needs to be used more long term but i am prepared to continue using it in the search for whiter teeth! 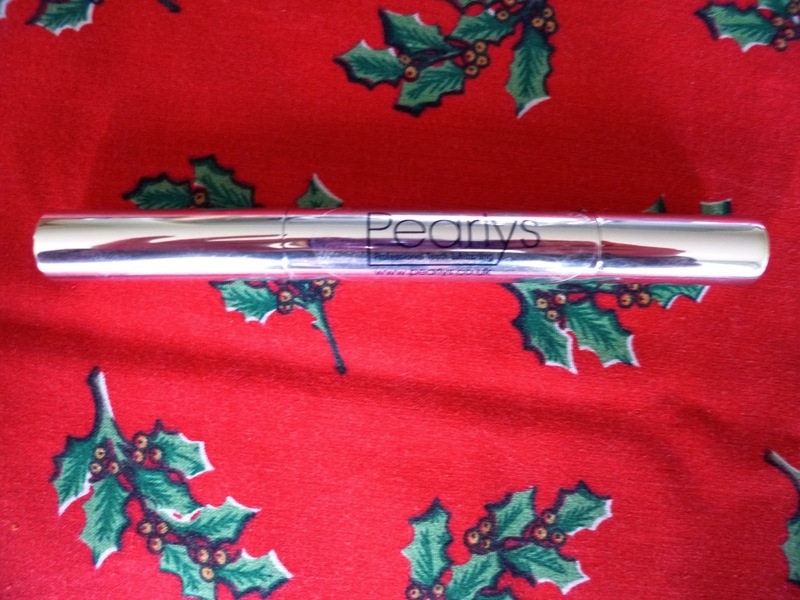 I hope you enjoyed reading my review on Pearlys and i hope you all have a great weekend! Have you tried any of their products before? What teeth whitening treatments do you use?